Mike and I have been meaning to go clipless for awhile now, and yesterday we did just that! Our road bikes are now equipped with new pedals, clipless pedals. In order to use these clipless pedals we had to get some new fancy shoes! Using clipless pedals means that we will now be clipping in and out of our bikes during rides and races. The term "clipless" is a little bit confusing, but it really refers to the fact that the newer pedals don't have toe clips on them like older pedals. Our shoes have cleats on the bottom that allow us to clip in and out of our pedals. The only scary part about going clipless is that our chances of falling have increased. Not really while we are riding, but while we come to a stop. In order to stop we need to unclip one of our shoes and place that foot on the ground while the other foot remains clipped in. Typically people fall when they are first using clipless pedals because it is a big change from the regular pedals on a bike. For that reason we are getting used to our new pedals on the trainer, but really the weather still isn't reliable enough to ride outside in Western New York anyway. We have our first multi-sport race of the season on April 27th, the Flower City Duathlon. That will be a great practice run for tri season and our first time racing clipless. I just have to say that our experience buying our clipless pedals and shoes was great! We went to Towpath Bike and they really took care of us. The first guy we worked with asked us what kind of riding we do, and when we told him that we are triathletes he steered us in the right direction for shoes. Our shoes are tri specific, so that is perfect! While our pedals were being installed on our bikes, the other guy who helped us fit our bikes as best as possible for our bodies. Unfortunately, my bike isn't the best (and neither is Mike's) and my handlebars are about 2 inches too far apart for me, and also not women specific which is weird since it is a women's bike. Other than lowering my stem post (where the handlebars are) my bike was fit appropriately for me. Mike just needed to have his seat post raised a bit and then he was all set. The guy noticed Mike's cadence sensor and when we told him it wouldn't pair with his Garmin, he fixed the problem! I would definitely recommend that anyone local check out Towpath Bike, they were great! They gave us our RATS (Rochester Area Triathletes) discount even though we forgot our member cards. We were told we should seriously consider getting new bikes and we will definitely be returning there soon to buy them! For all my cyclists out there, do you ride clipless? I barely can ride in a straight line so I use sneakers lol. Thanks, Ryan! Yea not sure if walking around in our shoes would be that good, although they are tri shoes so you would think you should be able to run in them a little bit (although most people keep their shoes clipped in to their bikes). When I was mountain biking I used dual pedals -- clipless on one side, standard on the other -- and the shoes were deep recessed for walking (so a little harder to get the cleat out). I was nervous in the beginning too while getting used to them; I never fell early on when going through town. However, when I was well used to them and had become complacent about the procedure I would occasionally stumble, cough "fall," when arriving at a stoplight. But that's hubris for you :) You'll be fine. YAy for clipless! 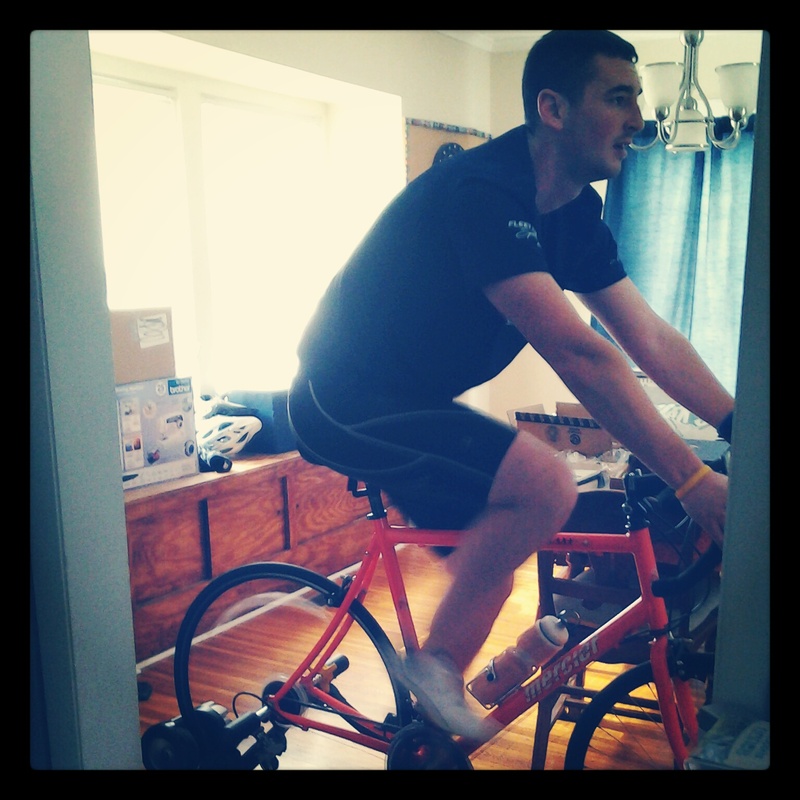 I definitely am grateful that I was able to practice on a trainer before going on the road. It is a lot different, but getting the feel from clipping in and out without worrying about forward momentum is helpful! Just practice, practice, practice, especially starting and stopping on hills. You will LOVE clipless! I switched about ten years ago and it's seriously so much more efficient-- you'll be amazed at how much power you can on your upstroke by pulling! I will just be doing my little sprint tri in my normal old running shoes. However, your trainer looks really cool as my bike lives in my living room anyway (little condo). Where did you get yours? I've been wanting to make the switch too, but I am soooo scared of falling. Plus, I still have a hybrid, so I probably wouldn't go that direction until/if I ended up getting a road bike, but I'm so excited for you, and I can't wait to read about your new bike!! Awesome! I'm also scared of falling... my bike has the option with another set of pedals, but I haven't tried it yet. I do clip in when spinning, so at least my legs are getting a little bit of a feel for it! some fly lookin kicks right there! I also just went clipless and am terrified to go outside. I have a hard enough time clipping out on the trainer. I see many a spill in my future. I do like the new shoes though and I think I'd be scared about falling too, like Kelly above mentioned. I'm glad you guys are playing it safe, practicing on the trainer :) I think I'll ride tonight! You are brave! I am still too scared to make the leap. I have those same shoes! Just got them and haven't switched my cleats yet. 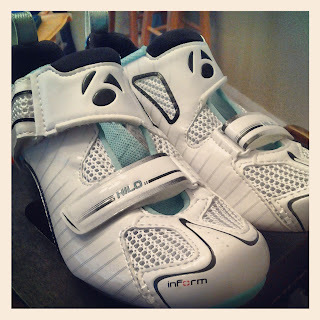 What kind of cleats/pedals did you get? 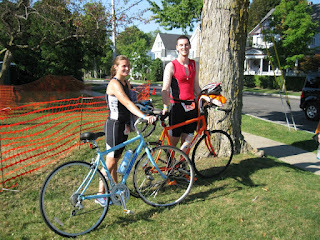 I was adventurous/stupid and did my first tri with clipless shoes. I had no problems riding but fell while running in them and totally wiped out! After that, I learned how to leave the shoes on the bike so I could run barefoot. Takes a little practice but it's worth it. When I started riding I was told these words of wisdom about cycling with clipless shoes: "There are two groups of people: those who've fallen, and those who haven't fallen...yet." I've fallen about 3 times in as many years, always when stopping, always when not engaging brain first and unclipping. You feel stupid and your water bottle often spills all over you, but everyone else around has done it, so no big deal. Have fun! We both got Keo Look pedals and cleats, mine is the classic and I forget what Mike got (his is just the next one up because he has bigger feet). Very interesting! We don't bike so I had no idea what going clipless meant until reading this. Thanks for explaining so I'll know what you are talking about in future posts. Good for you! I made the switch a few years ago, but I prefer using my pedal cages with sneakers when we're riding on busy roads because I can stop easier. But I think practice makes perfect and I hope you love your snazzy new cleats! P.S. - LOVE the color of your bike! Congratulations on the switch! I love riding with my clipless pedals. In the past, I had mountain and road bikes but didn't use either for fun around town rides. Now that I live in Brooklyn, I sometimes use my road bike to get around so I have pedals that are clipless on one side and flat on the other. It's great to be able to wear regular shoes if I'm riding my bike to the pool or to dinner but with bike shoes if I'm going for a serious ride...Good luck - you'll be clipping in and out with ease before you know it. No way other than clip less, it won't take long to get used to. one thing I did was ride on the bike with the shoes but not be actually clipped until I felt a bit safer. than clip just one foot, then both feet. obviously not for a long distance, but that helped my confidence. I'm not expert but when you do get your new bike, i highly highly recommend spending the extra money on a good fitting with a proper fitter. it can make a big difference in how comfortable you are, and if not done correctly you could cause an injury. good luck! The first guy we worked with asked us what kind of riding we do, and when we told him that we are triathletes he steered us in the right direction for shoes. Great post! I never knew that I can use a clipless pedal for a road bike! 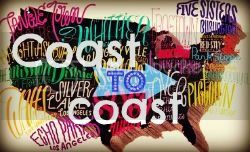 I learned it from this blog! Recently I have bought a clipless mountain bike and I really enjoy riding with clipless mountain bike.